Admiral Albert Ross - MBE (Mighty Big Eater) here, Head Honcho of "OFFAL" (Oceans For Free Albatross Lunches). As an old salty seadog, I'd like to welcome you chaps and chapesses to my "nestsite" full of an offal amount of interesting tip bits (heh heh, sometimes I crack myself up!). 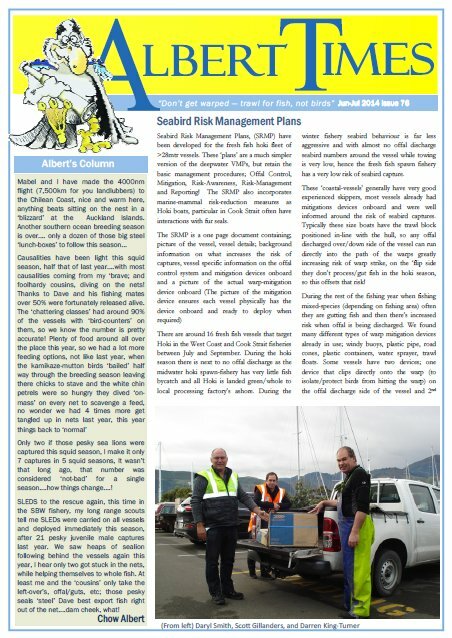 My newsletter, the "Albert Times" is being used to better inform, both fishing industry participants and interested parties of importance, on minimising the interactions between seabirds and fishing vessels. 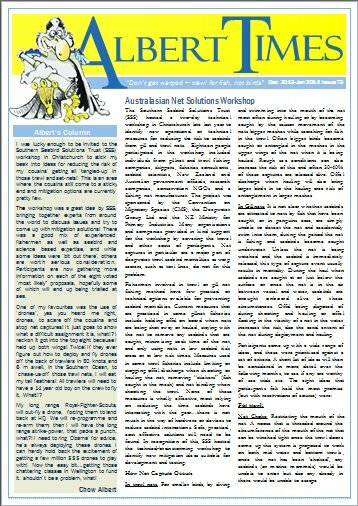 This site is directed to all parties interested in saving seabirds, but mostly for vessel operators and fishermen in general. 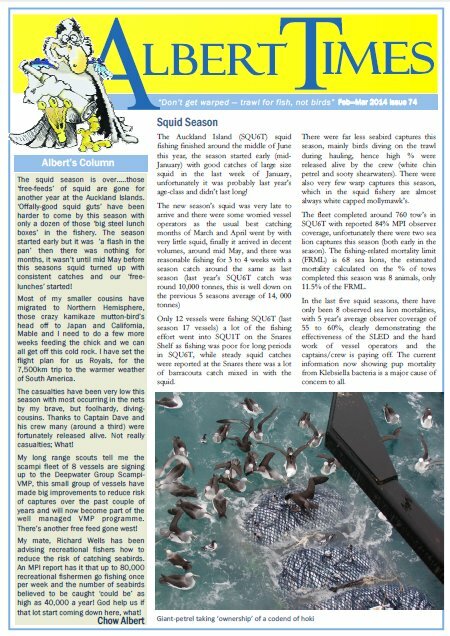 The information will help increase awareness of seabirds in general and provide some solutions to reducing seabird mortalities and incidental captures of seabirds during fishing operations. 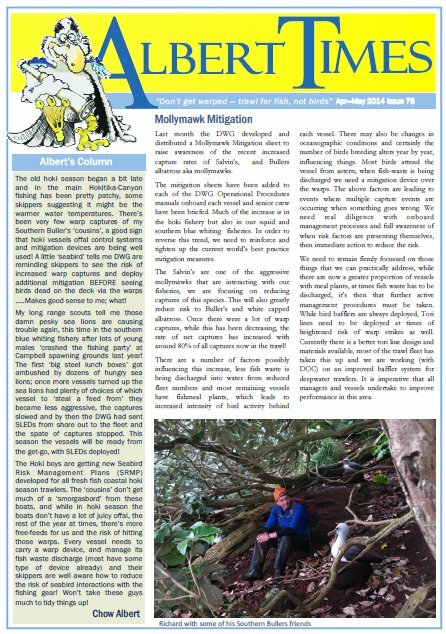 Have a look around on "my nestsite", check out the cute birds in "Albert's Photos" and have a good laugh with Daryl Crimp's cartoons.